The Himalayan region in four South Asian nations, India, Pakistan, Bangladesh, and Nepal, which is home to about 100 million people, has witnessed rapid urbanisation over the past few decades. A study now stresses that rapid urbanisation in the region, driven mainly by tourism, is threatening water security in the area which will only be exacerbated by climate change. The researchers argue that unless a long-term and mountain specific strategy is devised, millions living in the region would face a severe water crisis. Today is World Water Day and globally, organisations and individuals are campaigning for water as a human right and ensuring access to water for all. The study by researchers Sreoshi Singh (Nepal), S.M. Tanvir Hassan (Bangladesh), Masooma Hassan (Pakistan) and Neha Bharti (India), was published in the journal ‘Water Policy’ in February 2019. The findings are significant as the Himalayan region in these four south Asian countries is home to over 100 million people. The study emphasised that the Himalayan region is witnessing rapid urbanisation due to factors like migration, tourism and religious pilgrimage and one of the inevitable consequences of rapid urbanisation is water shortage. 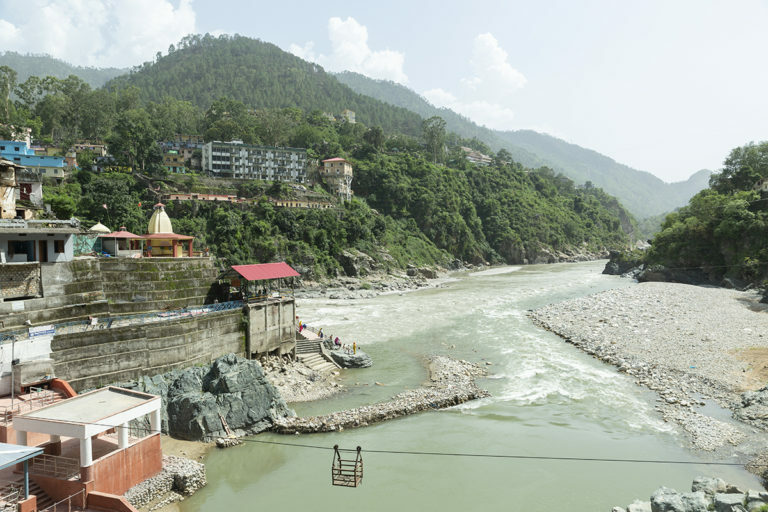 Unplanned growth in the Himalayan region in South Asian nations is threatening water security. Photo by Kartik Chandramouli/Mongabay. Banner Image: The Himalayan region covering the four south Asian countries is home to over 100 million people. Photo by Kartik Chandramouli/Mongabay.